In the course of our travels throughout the developing world Mission International staff and volunteers meet many people who have some form of disability due to injury, disease, from birth or as a result of old age. It is our desire to help as many of those that we can with what they need to help them live a more fulfilling life with as much dignity as possible. One way to help a disabled person is to provide a means of improved mobility. This can take the form of a wheelchair, crutches, a zimmer frame or simply a walking stick. These items can be purchased in country where possible or shipped from the UK to the country where they are required. 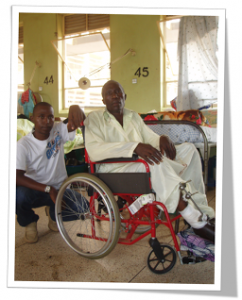 To purchase a wheelchair locally costs from £50-£150 depending on location and design of the chair, Shipping a wheelchair from the UK costs £100 where wheelchairs are donated to Mission International free of charge. 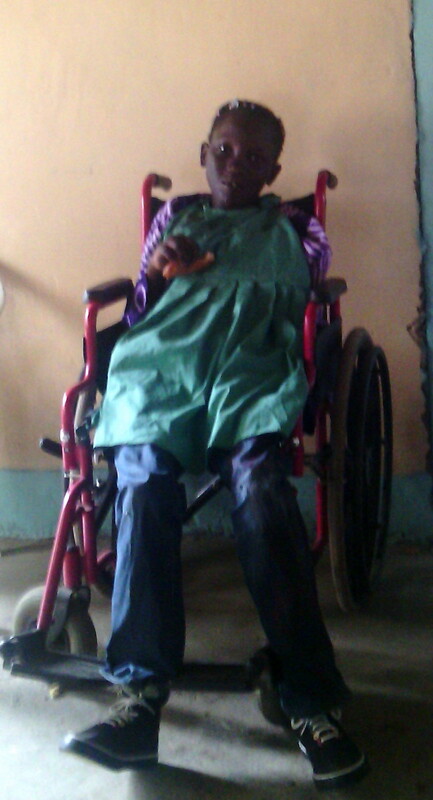 Please consider how you can provide help for the disabled. To donate to help fund a wheelchair or other item please visit our Give.net page here. Mission International also partners with Father’s Heart Mobility – more information can be found here.